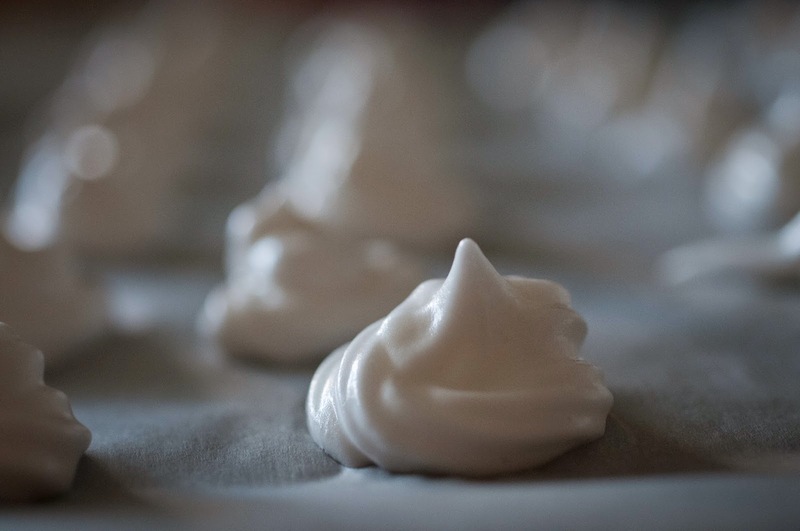 Of the Kitten Kind: Chickpea peaks, aquafaba or the nouveau egg white. 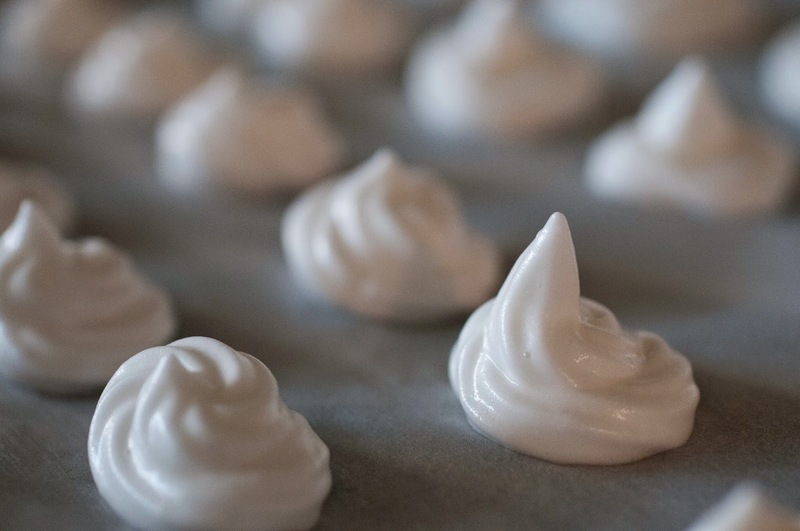 Chickpea peaks, aquafaba or the nouveau egg white. For my very first Mother's Day, I was given the gift of a hand blender with four attachments. One of these attachments being a whisk. In the old days of veganism, I actually disposed of my vintage egg beater as I had no apparent use for it other that for it to act as a dust collector or ornamental piece- maybe something along the lines of Duchamp? 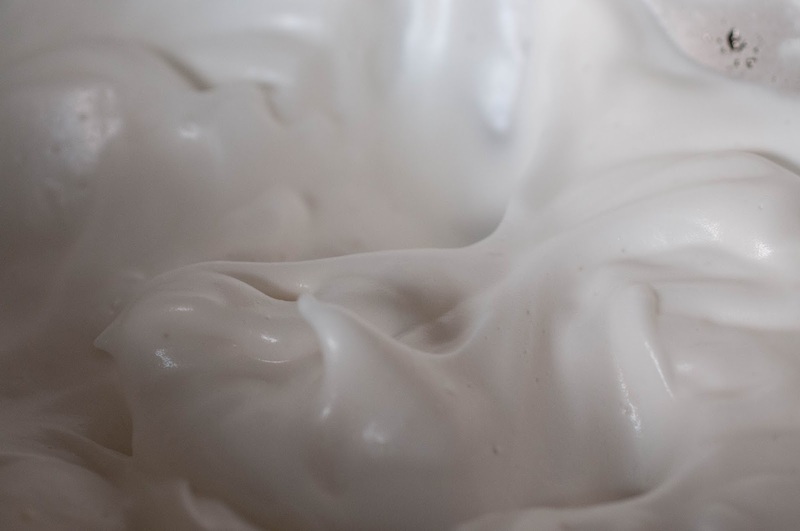 I had been reading about people making meringue with the liquid from cans of chickpeas. The first time I saw it was on Floral Frosting's blog. If you haven't seen her work, go have a look. 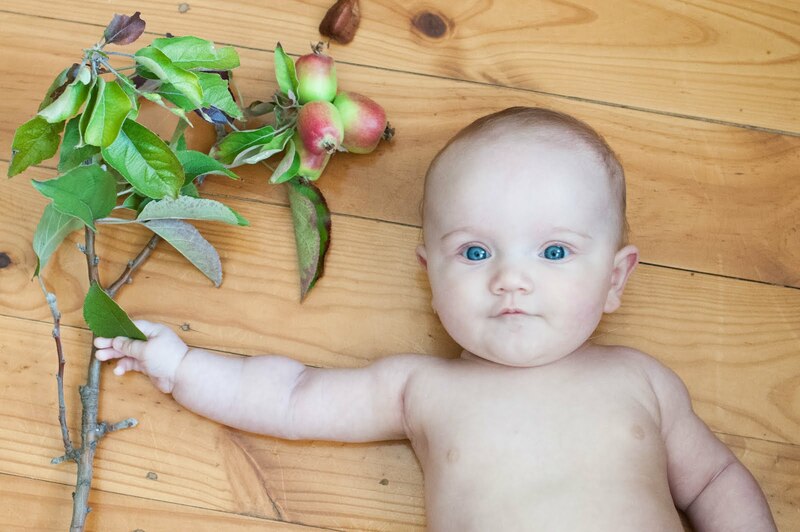 Her blog is like sugar laden eye candy, with beautiful swirls of colour. From there, I discovered the Facebook page "Vegan Meringue- hits and misses". I decided to have a go, not exactly following a recipe, but adapting from all the ones that I had read into something that made sense to me. To start, I measured out the liquid from a tin of chickpeas. It came to 3/4 of a cup. 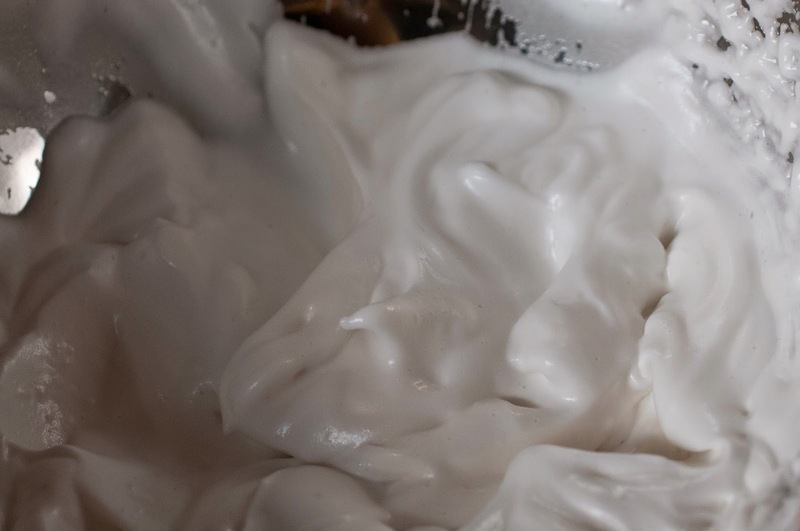 I placed this in a bowl with half a teaspoon of cream of tartar to stabilise it. I'm guessing that means that the cream of tartar helps the peaks to form. I mixed this with my electric whisk for a couple of minutes until it started to froth up. I then added the same amount of powdered sugar and continued to whisk until stiff peaks formed. It worked. I think the novelty factor was my main reason for trying this recipe out. I'm guessing this so called "aquafaba" (latin for both water and chickpeas- fancy, huh? I kinda prefer the grass roots implications of the words "chickpea water". It's funnier.) is a pretty good replacement for all things eggwhite. I've read of people making macaroons, pav, mayo and cakes. I do wonder how an omelette may fair up? Apparently, the small meringues need to be cooked at about 100C for one or two hours. My oven is hot like the sun and even with the door slightly opened, managed to sear these babies after 15 minutes. 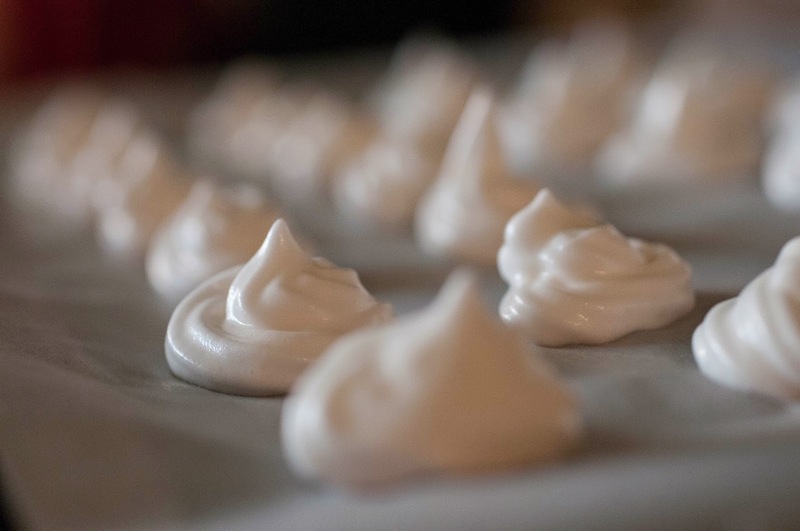 Even slightly browned, they were still very meringue- crunchy and chewy all at once. Funny thing, though after leaving them on the bench for a couple of hours they went soft. I'm assuming that has something to do with the cooking time. I'm going to have to look into that a bit more. The ones we had at CLF went soft too but I think that was because they were sandwiched with some squirty cream. I've yet to try this out but I fancy trying chocolate mousse.